Allow me to introduce Dr. Naveen Kakkar, a professor in a medical college by profession and a humorist turned author by passion. We came to know about him during our communication for his debut book Dissected. The cover page of the reveals a lot about the book and when you read it you can get a look into the real lives of medical students. The good thing about the book is the way it represents the things, both in terms of reality and humour. The book has some of the really nice segments which stay with you even after you complete reading it, for example, the visit to the old age home or even the first chapter of the book. 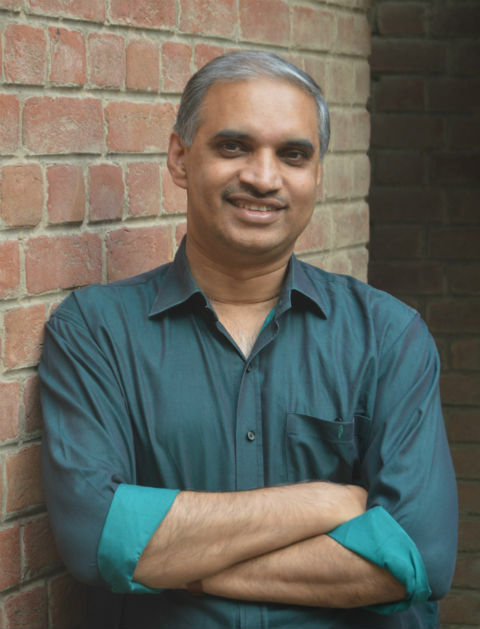 It made us curious to know more about Dr. Naveen Kakkar and what could have been a better way than an author interview? Fortunately, our approach to Dr. Naveen resulted in a positive outcome and from our team, I had an interesting Q/A session with him. We are glad to have a conversation with you. As your book has started getting both commercial success and critical acclaim gradually. Can you share your feelings? It feels very satisfying that what began as a few paragraphs of my testing the waters in writing ended up in a book. What I gingerly thought was an interesting read is being appreciated by those who have read “Dissected” I cannot ask for more. It is a kind of cliché question, obviously, you are feeling joyous, accomplished and happy, but, each time we are able to follow our passions the way we want to, we feel, inching more towards completeness. Do you think so? Indeed there is a sense of accomplishment. In fact, it was immense joy at having the final printed version in my hand. However, I feel there is no completeness ever in the real sense though we may seem moving towards it with small steps. Each of the milestones drives one to another quest which for me now is the sequel of “Dissected”. I am a pathologist by profession working in a premier medical college in North India. I was born in the same hospital where I am working presently and having grown up in the campus there, I have lots of memories of childhood, schooling and college life. My passions are long train journeys, mountains, eating to more than my heart’s fill, cooking, making up one liners and writing (now). It is the opportunity to share my thoughts with the world. Can you share what made you write Dissected and what are the major challenges you faced when writing this book? The seed was sown by one of my batchmates who met us on our 25th reunion and was impressed with the titles I wrote describing each of my class mates in 4-5 lines. I wrote about 30 schizophrenic pages then and then faced the writer’s block for the most part of the next 5 years. In the summer of 2018, I resurrected the plot prodded by my wife (she drew the lovely sketches for the book) and Gunjeet, my foster daughter who visited us in June this year. Can you share which segment of the book Dissected you enjoyed writing more? It has to be The final frontier which captures the exam times with all its tensions, the amusing ways people would keep awake to study, the D’day and the post mortem. I am not a method writer. I don’t draw a roadmap or plan. It just happens all of a sudden when inspiration comes and the words just flow. At times, I tend to jot down my recollections to build on them later. Yes, actually after having spent many nights thinking about it, it struck me that the skeleton is our perpetual companion (in the anatomy department) in the first year. A student conversing with a skeleton was what I had in mind. I communicated this idea to the publisher who suggested two such images. I chose the present cover as it conveyed frustration and humor in the same frame. Tazo’s looks in my imagination matched with the guy on the cover too. Actually, while writing, I did not know about the self-publishing option. After having visited the websites of established publishing houses, I realized that the timeline was too long and the chances bleak for a first time writer. Then, one fine day, on a Google search on how to publish, Notionpress showed up and that was it. An author often needs to research a lot while writing a book. For you, a large number of things came from your first-hand experience or witnessing the same? But, then also you may need to slip into the mind of a comparatively younger generation. Can you share your experiences or details in this aspect? To be honest, I did no research at all. My writing is loosely based on our experiences as medical students in the first year of college life. I have improvised at places and tried to mix characters but being a kid at heart allows me the ease of slipping into my shoes some 30 years back and writing from what actually happened. We never really grow up. I have kept those files handy in my brain. Do you think that laughter is the best medicine and we are taking our lives too seriously? What, according to you should be our approach to life? Too seriously is an understatement. I feel we are running towards our end with both eyes open, Whatsapping, tweeting on the way and seduced by the illusion of choice that the MNCs throw at us. We have come so close by technology but are still so far away from each other. And inspite of our dual sims (and faces at times), we still have a single life. Humor is a must. To borrow a line from Housefull 3, “Gambhir to Guatam bhee ha“. Every book affects its author in some way. How do you think writing Dissected affected you? It has just inspired me to write more and validated my belief that what I write amuses others and makes some sense. What are the USPs of Dissected according to you? The first one is that “Dissected” is set in a medical college. Most books in the market that relate to college life have been based on IITs or related professions. There is little literature on life in a medical college. This book fills that void. Also, most medical literature is serious or too heavy. 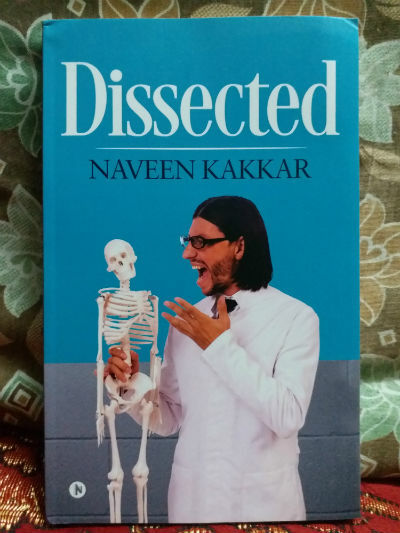 Dissected is replete with humor all the way through and provides a light fun read. At the risk of appearing like a frivolous writer, I still have to be honest in disclosing that I am not the “conventional well-read author.” The only bit of serious reading I have done was to read “The Fountainhead” by Ayn Rand more than 20 years ago. I have also read two of Khushwant Singh’s books. I found his unbound writing style fascinating. My favorite reads over the years have been Archies, Tintin, Commando war comics, Phantom and Asterix. Photography, watching test cricket, cooking, creating PJs. Ha Ha Ha! What do you think about video trailer of the book(s) which are almost inevitable part of marketing these days? I think it is a good idea to reach a larger audience and create anticipation regarding the book. I feel in these technologically driven times, each platform has its role and although there are people who swear by the printed word, the E-books have created a new segment of readers which is encouraging. Will we see Kindle Ebook version of “Dissected”, sooner or later? Do you love to read traditional printed books more or EBooks? Traditional printed books without a doubt. What are your opinions about various social networks and the way it can be used to spread awareness about some important cause around the globe? Sporadic events apart, I personally feel that some of these things are overrated and remain more like passing fads that people like to forward and feel good than having a real impact. Please share some time management tips which you are using in your writing regime. Once you decide to write a book, create a time frame and deadline for completion. Being regular is also important. Yes, it is though a sign of the times with our jet paced life and contempt for what was. Please share your Social Media/web presence/EMail address, so that readers and fans can follow/contact you. Please share anything you want to convey to the readers from your end. Dissected has been written from the heart. It may not have the literary method in it but I am sure it will make you smile or laugh. I hope you enjoy reading it as much as I enjoyed writing it.